Yup, I love my job. 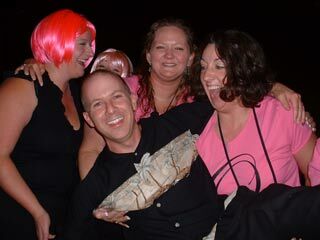 But still, I admit it: some jobs are more fun than others, and working for Pure Romance was a blast. Check out the this photo sent in from one of the Pure Romance at the Ohio training and party. https://www.bradmontgomery.com/wp-content/uploads/2018/11/logo-1-495x198-1-300x120.png 0 0 admin https://www.bradmontgomery.com/wp-content/uploads/2018/11/logo-1-495x198-1-300x120.png admin2006-09-21 22:00:302006-09-21 22:00:30Pure Romance: Fun Client! Play! I’m Tellin’ Ya, Play! (Skateboards Optional) How to Be a Comedian? Read on!